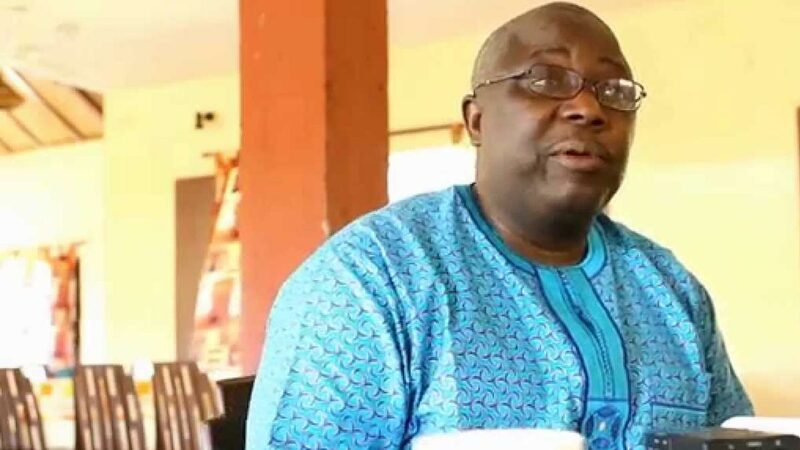 The Nigeria police yesterday raided the head office of an online medium, Premium Times in Abuja, and arrested the newspaper’s publisher, Dapo Olorunyomi, alongside the judiciary correspondent, Evelyn Okakwu. Plain-clothes officers conducted a search at the office shortly after 5:00p.m. yesterday and said they were acting on a complaint filed by the Chief of Army Staff, Tukur Buratai. The arrests came days after Premium Times turned down the army’s demand to retract news stories about the Nigerian Army and its operations. The paper’s Editor-in-Chief, Musikilu Mojeed, condemned the raid. “They should stop deluding themselves that they can muzzle the press and intimidate Premium Times,” said Mr. Mojeed. The Nigerian Army had recently written to the newspaper, threatening to sue the paper for what it termed unwarranted serial provocative, unauthorised, libelous and defamatory publication” against the Chief of Army Staff, Tukur Buratai, a Lieutenant General, and the army’s counter-insurgency operation in the north-east of the country. The letter expressed displeasure with three stories published by the medium between October and December last year. The reports were those on the planned invitation of Buratai by the Code of Conduct Bureau for asset verification, the disappearance of a high number of soldiers after a Boko Haram attack and an investigation detailing how soldiers allegedly killed a kidnapped pastor and labeled him a kidnapper. Premium Times, had last week, through its lawyers, delivered a detailed response to the army, affirming its stories, and unequivocally rejecting the demand for retractions and apology. The paper, instead, asked the army to write a letter within seven days of receiving its reply, withdrawing the allegations and threats against it and its staff, or risk being sued. Jiti Ogunye, the newspaper’s principal counsel, who signed the response, took the army to task on the “grave implications” of its letter, describing the letter as a threat to the wellbeing and life of Premium Times’ staff. “By your letter you have threatened the lives of our clients, and our clients are thus obliged to put the public on notice that should any harm come to them, you, the Chief of Army Staff and the Nigerian Army should be held accountable,” he wrote. Ogunye said the “chilling threats” contained in the army’s letter was an affront on the constitutional guarantee of civilian control of the army and the freedom of the press. The newspaper also claimed the army lied when it denied a report that its troops were being deployed to The Gambia as part of efforts to force President Yahya Jammeh from staying put in office. In a report entitled Nigeria raises troops for The Gambia, ready to remove Yahya Jammeh last week Thursday, the paper said the army was sending a battalion of about 800 soldiers drawn from the 19 Battalion, Okitipupa, Ondo State, to The Gambia, possibly as part of a sub regional Economic Community of West Africa (ECOWAS) intervention force.